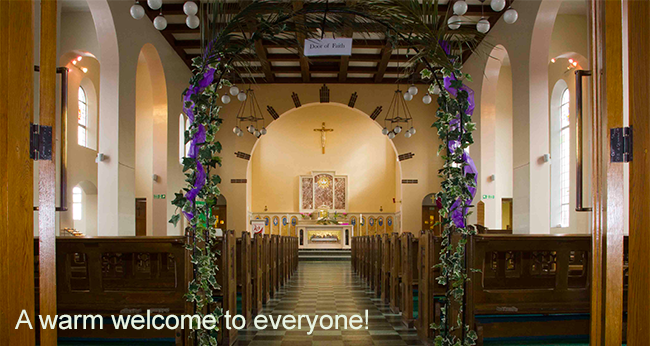 Welcome to St Ethelbert’s! I am so glad you found us on the web, and I hope that you will visit St Ethelbert’s Parish Church soon in person. We can’t wait to welcome you! St Ethelbert’s is a Community of Faith: The original prayer to St Ethelbert, the first Christian King on these Isles says this: God, our Ruler and Guide, we honour you and our Patron King Ethelbert of Kent who, gently persuaded by the truth of your Gospel, encouraged others by their example of faith, hope and love to follow freely the path of discipleship;and we pray that we, like them, may show the goodness of your Word not only by our words but in our lives. That is what our Parish Family is all about: The path of discipleship through words and through our daily lives! Our community celebrates the Holy Mass with reverence and active participation. The joy of Christ is evident within the hearts of the assembly when we raise our voices in praise and song! The Mass is at the centre of all that we do. Opportunities for involvement and spiritual growth abound through our many ministries, activities, and outreach programmes. We strive to reach out to those in need around us, and we take seriously the Church’s call to Works of Mercy and Works of Justice. We love to help others, grow in faith and friendships, and have fun in the process! At St Ethelbert’s, we value life-long learning. Part of growing closer to Christ means continually opening our hearts to learning more about the beauty and depth of our Catholic Faith! From our children’s ministry, Sacramental Programme, pastoral care in our Primary Schools, and many adult learning opportunities, we strive to never stop growing in faith! Please take time to check out our website, and see some of what we have to offer. We are always open to ways to serve you better, so please do not hesitate to contact me, our Parish Pastoral Councilor our ministry leaders by phone or by email – for details please see our Contact page. St Ethelbert’s Church was founded in 1905. 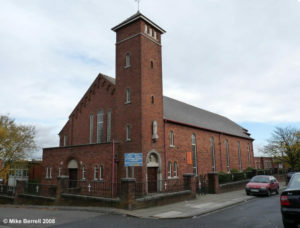 The current church opened on 26 September 1959. In 1922, a new parish developed from SS. Peter and Paul’s and Fr. F. Kershaw was the priest sent to foster the growth of the new parish. The new church was opened in 1925. On Fr. Kershaw’s transfer to Blackley, Fr. T. McGrath came here from St. Joseph’s, Bolton. A new junior and infant school were built during his pastorate.